Thread: Winter Tires for sale! 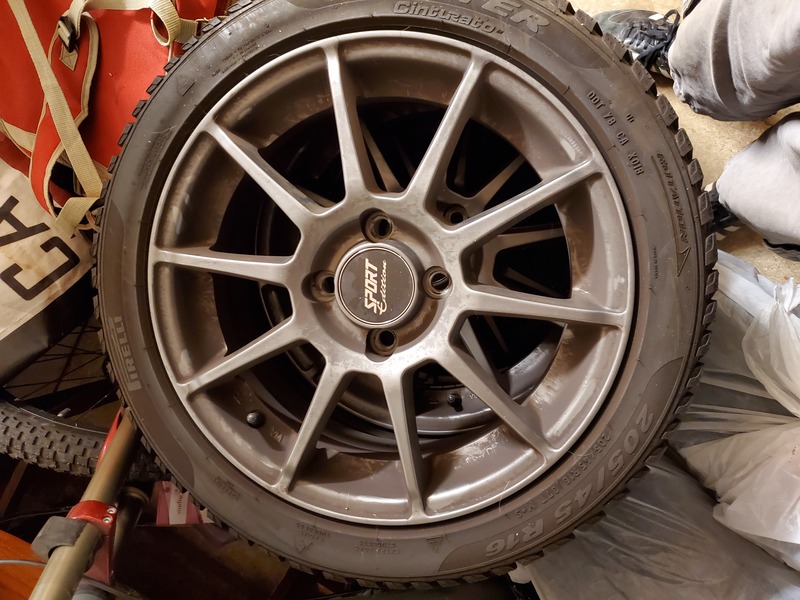 I've got a set of winter tires and wheels for sale. I've replaced my Fiesta and this set didn't go with it. 16X6.5 Sport Edition A10's with Pirelli Cinturato Winter's 205/45. They have about 5k miles on them. Used one winter. When not on the car, they've been stored indoors. They're currently filthy(yay brake dust...) but no rash, rubs, or bends. Located in Pierce Co. Washington.